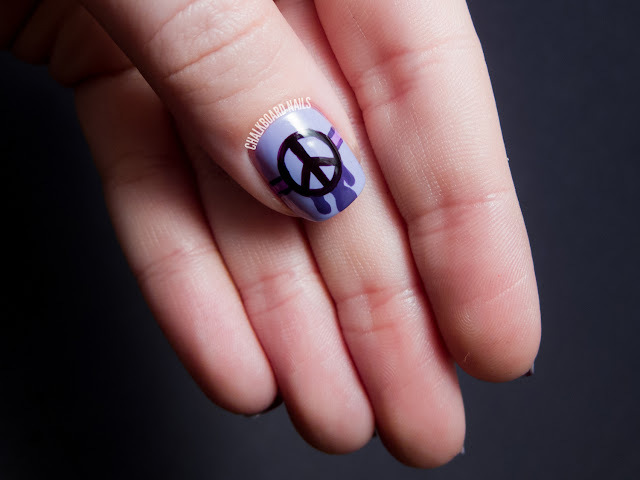 Peace, love, and polish. What more could any free-spirited lacquer lover ask for? 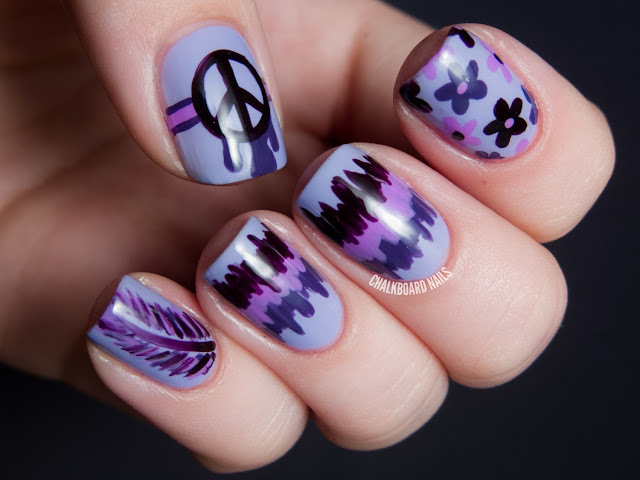 This nail art combines a few classic elements of hippie culture in shades of violet. I began with the simple tie-dye effect and then the rest of the manicure took off from there! I've done a more realistic looking spiraled tie-dye before, but I like the simplicity of this one, too. Of course, it doesn't hurt that this one is much faster and easier to execute! I added a feather to my pinky and a daisy pattern to my pointer. The manicure was finished with a lava lamp/peace sign hybrid on my thumb. 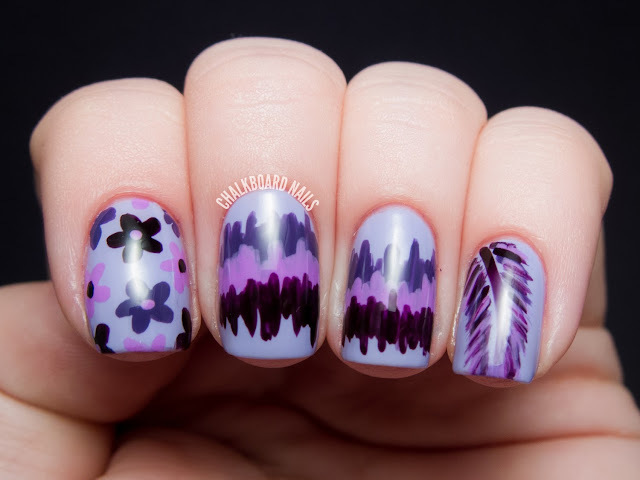 There are four shades of purple used in this manicure. I'm so happy that I had an easier time coming up with this nail art than I did on blue day! Two days in a row of that and I think I would have had a breakdown. My violet nails from 2012! My violet nails from 2011! 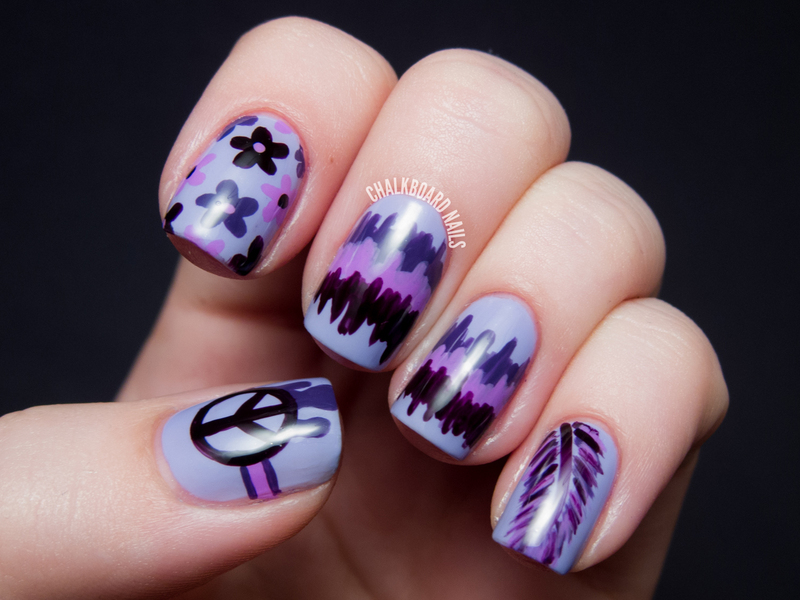 Love this Purple Hippie Mani! These are so fun! It is giving me some good inspiration for the future. Love it - esp the peace sign...my generation! Me ha encantado esta manicura, que bonitos todos los diseños que te has hecho. Me gustan muchisimo. looks always so nice! I like your Top Coat! 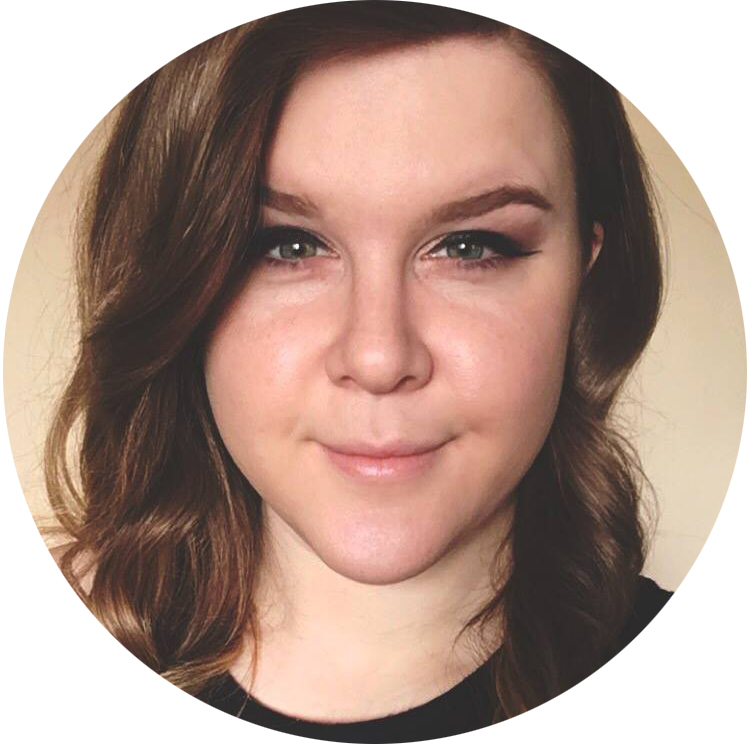 I had a breakdown yesterday. I ended up doing four different manicures, 'cause the three first ones sucked. Fortunately I was happy enough with my fourth mani to blog about it. I'm sorry, that's really tough! Glad you ended up with something you liked though. Groovy! I love the feather the most! So crisp! It looks like you used a Sharpie! Excellent job! I love a little retro hippie throw back. Love this, I don't know how you come up with so many good ideas! site, and pаragraph is iin fact fruսitful for me, keep up ρosting sucɦ ɑrticles. that in faϲt how to do blogging annd site-building.